Application:It is suitable for refractory industry, power plant, metallurgy, chemical industry, energy, transportation, heating and other industries. Pulverized coal briquetting machine is the equipment which mixes one kind or many kinds of coal powder and a certain proportion of adhesion agent and then presses them into balls. It can process the following materials such as aluminum powder, activated carbon, alumina, bauxite, caustic soda, charcoal, clay, coal, coke breeze, cryolite, fertilizers, plastics, limestone, pigment, urea, potassium salt, etc. Wait. 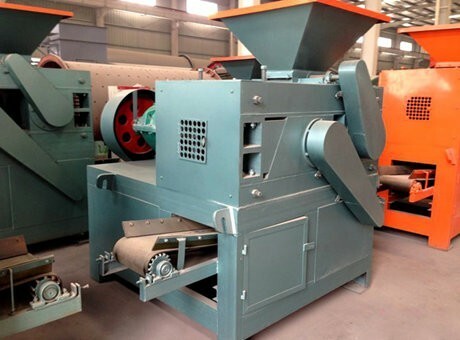 Pulverized coal briquetting machine has several unique characteristics, which can reduce dust, control the bulk density, return to use and improve transport properties. Pulverized coal briquetting machine and coke powder briquetting machine are commonly used briquetting machines, which are mainly applied to process coal powder, coal slime, middling coal, coke powder, coking coal, metallurgical powder and various powdery materials into pellet or piece. It can produce square shape, ball, round, oval, column, bar shape, bread, pillow type and other special shapes. Pulverized coal briquetting machine and charred coal briquetting machine is suitable for refractory industry, power plant, metallurgy, chemical industry, energy, transportation, heating and other industries. The materials after being processed by these two machines are energy saving, environmental protection, less pollution reduction and convenient for transportation. Our company can design various types of briquette machines and charred coal production line according to the actual demand of customers. 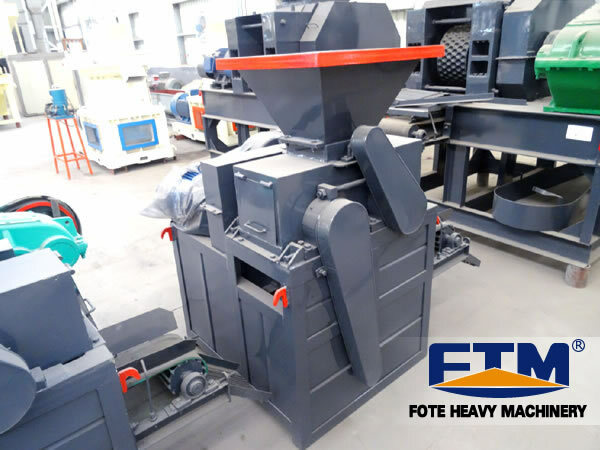 Fote Machinery is experienced briquetting machine manufacturer specialized in the production of various types of briquette machines such as dry powder briquette machine, high pressure dry powder briquette machine, desulfurization gypsum briquette machine, slag briquette machine, coal briquette machine, static pressure briquette machine, hydraulic pressure briquette machine, large briquette machine, charcoal powder briquette machine, energy saving briquette machine, etc. Customers are warmly welcomed to visit our company!